Protecting Important Documents from forgeries and alterations. 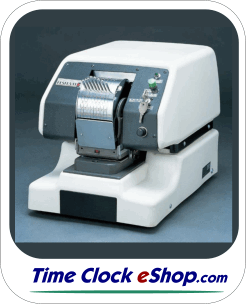 This is a Secure method of punching holes in documents, perfect Document Control for Invoices, Checks, Bills, Stock Securities, Certificates, Passports, etc. 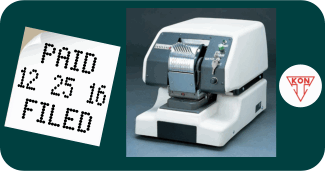 Depending on model...Up to 6 Characters can be perforated per line and Up to 3 Lines of Text can be perforated per document. 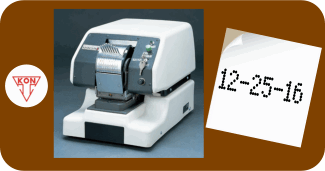 Desktop Size - The model 112-905 takes a little more space than an larger office machine. 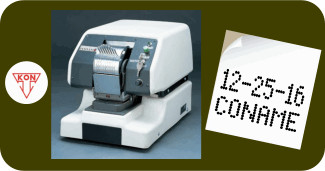 How To video for the New Kon 112-905 Date and Text and Numbering Perforator.